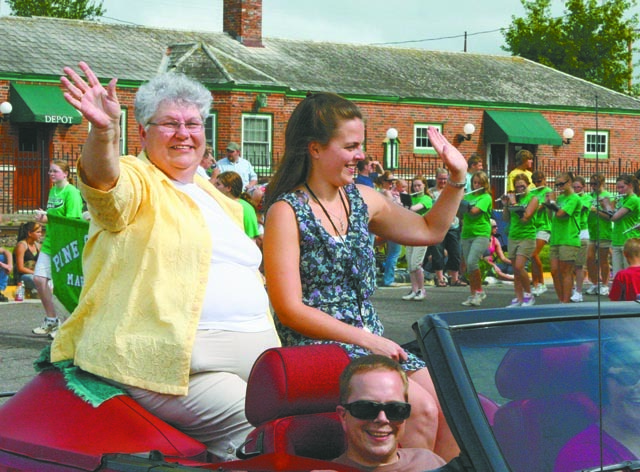 Both outgoing and incoming Pine City Branch Librarians were honored on Saturday, August 6 as they served as Grand Marshals in the Pine City Parade. (on the left), Christy Koch and new librarian (on the right ), Sarah Biro, led the parade on this gorgeous Saturday. Christy retired after 17 years of service as Pine City’s Branch Librarian. Sarah Biro started as the new Pine City Branch Librarian in early July.